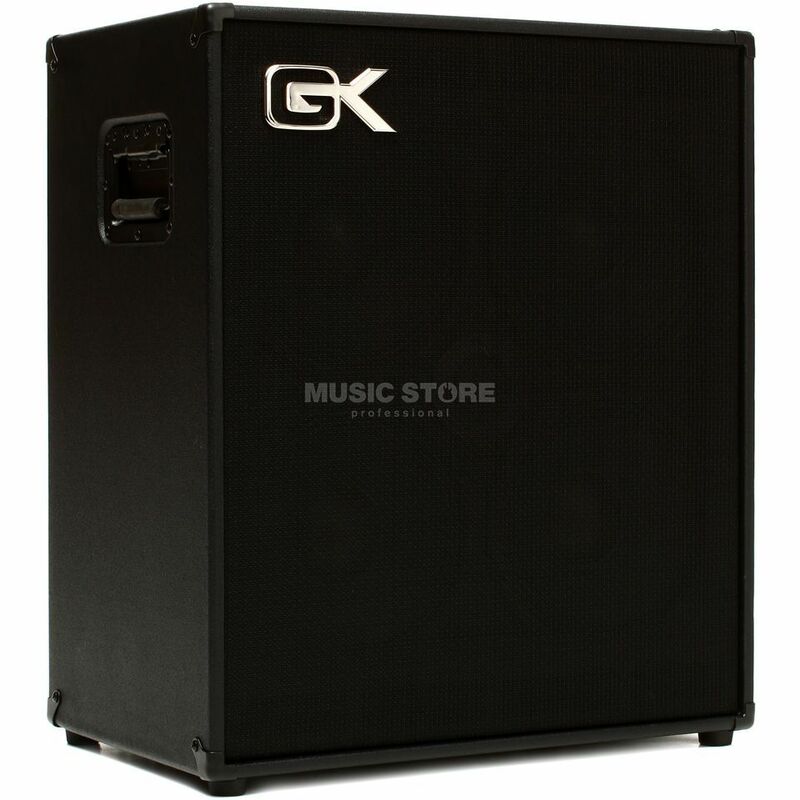 The Gallien-Krueger CX 410 Bass Cabinet is an 800W bass cabinet, with 4 Ohm impedance, 4x 10” ceramic speakers, and dimensions of 14.5” x 23” x 26.5”. This bass cabinet features a unique foot and corner system designed to lock together when cabinets are stacked. A tough vinyl covering is protected with metal corners that provide lasting protection. A plywood construction, flip grip side handles and compact design make this cabinet a dream to load. The CX 410 has a three position tweeter attenuator for control of tweeter level, and one professional twist lock speaker connector for no compromise performance and one common 1/4 inch input. Special drivers have been designed just for this cabinet, featuring edge wound aluminium 2.5” voice coils, manufactured in the GK USA factory. This design delivers unprecedented punch and efficiency uncharacteristic for a 10 inch speaker. A chambered design with each speaker in its own chamber to prevent tone robbing standing waves and sound leakage through the cabinet walls is also included. Gallien-Krueger's design team tuned the port for optimum performance while coupled to the cabinets specific designed speaker. The port coupled with a specific jute blend of damping material provides the right amount of damping at the right frequencies, for optimum response.